Software innovation means different connotations to both the supplier and the customer. The customer desires to deploy a new (local and simplistic) enterprise system, while the vendor targets to market (broader and complex) its enterprise systems internationally (Haried, 2011; Manolova & Manev, 2004; Rogers, 1962, 2003). Enterprise systems are software packages of various types and sizes (Hashmi, 2001), such as the FMIS, the ERP, or the SCM, the popular acronyms. Some of the larger multinational developers of software packages are ACCPAC, Dynamics AX, Finance One, Great Plain, JD Edwards, Navision, Oracle, and SAP. Yet there are always small or new vendors trying to win a share of the market. The latter are collectively referred to as “Little Vendor” while the former are called “Big Vendor.” Together with customer organizations, they make up a social network. Many of these customers belong to the Late Majority or Laggards segments referred to in the Diffusion of Innovations (DOI) theory. Figure 1 illustrates a popular concept of innovation adoption with the S-shaped curve which originated from Tarde (1903). The first two adopter segments are the Innovators and the Early Adopters (also referred to as the Opinion Leaders). The three other segments (Ryan & Gross, 1943) are the Early Majority (34% of the market), Late Majority, and Laggards. Together, all five make up a bell curve, and create the perception of an ordered and partitioned continuum (Bass, 1969; Mahajan & Peterson, 1985; Ryan & Gross, 1943; Tarde, 1903). Yet this is a problematic model because it implicitly assumes that the whole targeted market segment, sooner or later, will adopt an innovation. However, this ideal scenario is never the case in reality. 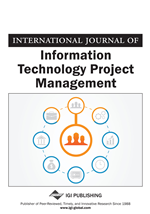 This paper will examine the Matchmaking stage (the issue) in the deployment of new enterprise system by a large public sector university in the Australasia (the local setting) during a major ERP-managed project. Figure 2 denotes the complex plurality developed from an extensive literature review. Imagine an inverted triangle with local setting (or the first domain) on top, the complex phenomenon (or second domain) in the middle, and the issue (or third domain) at the base (Bhaskar, 1978). Also imagine the triangle surrounded by the three building blocks of the Diffusion of Innovations (DOI) theory, entrepreneurship, and internationalization. Finally, imagine that the triangle embodies the interactions of customer-organization with both the little vendor and the big vendor and the incorporation of the three domains, surrounded by the three building blocks. The primary purpose of this paper is to present two propositions for consideration: First, to review, sort out, and dissolve the “messes” (Ackoff, 1999, p13) of practice (Clegg et al., 2004) by closely examining past literature on the subject; and secondly, to present an objective argument in favor of the following assertion: A small or even large organization that invests in new enterprise systems belongs to the Late Majority and Laggards segments. This assertion can best be illustrated (i.e., based upon DOI or diffusion) using a paradigm. It is as follows: In the biblical story, David defeated Goliath. However in the real world of software package design, large customer-organizations tend to choose Goliath (big vendor) over David (little vendor), based on big vendor’s track record. Yet the little vendor has no chance of creating its own sakes track record unless it can win customers.